Ali started at My FootDr in March 2013. She moved from Kalgoorlie where she spent several years in private practice. Ali is the head podiatrist out our Warwick Grove clinic where she offers the full range of podiatry services. 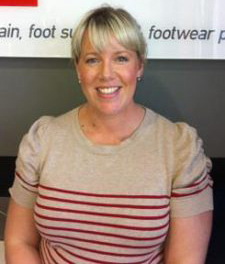 Ali enjoys all aspects of podiatry, with a particular interest in lower limb biomechanics, ingrown toenail surgery, paediatrics, nail surgery, ankle injuries. She continues to advance her clinical knowledge as a member of the Australian Podiatry Association.